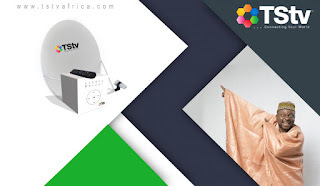 The Management of TStv, the much awaited indigenous Satellite TV, inaugurated on October 1, said the decoders would be in the market within the next one week for all intending customers to buy. Mr Ernest Essien, TStv’s Public Relations Officer, disclosed this on Friday in Abuja. Nigerians have been querying why the satellite TV provider is yet to commence public sales months after it launched on October 1. Essien said the company had concluded arrangement to roll out its commercial decoders from next week after the successful test run of its promo decoders distributed before Nov. 1. He said that the service provider was committed to making sure that all the intending customers should have their decoders before Christmas. Essien reiterated that the price of TStv decoder would remain at the initial N5,000 with all the packages promised, adding that there were going to be additional surprise packages for its customers. He said that the management had decided to keep the packages secret until the decoders are rolled out, adding that all the channels. According to him, when it comes out the price is going to be N5,000 and all the packages the company promised Nigerians are going to be there. “We will display all the packages accordingly but the one we can assure now is that the price will not change, it remains N5,000. “We are trying to see how we can make simple and easy for every Nigerian to be able to afford it. We have a surprise package for Nigerians which we are not going to divulge now because we want to make it a surprise. “We are keeping our promises on the channels and all the channels including BEing Sports channels are there with even more other channels that were not included in our bouquet before. “We have more better channels that are coming and the total number of channels will be over 70,’’ he said. The News Agency of Nigeria (NAN) recalls that the new satellite pay TV which was inaugurated on Oct. 1 commenced distribution and installation of promo decoders of nationwide on Oct. 31. Some of the beneficiaries of the promo decoder had commended the improvement in the in terms of the number of channels and quality of the programmes. Other beneficiaries were unable to get their decoders installed and track the channels because of dearth of technicians that are familiar with TStv systems.